Last month, furor erupted within the theatre department at Bowling Green State University in OH over the casting of its production of “Little Shop of Horrors”. 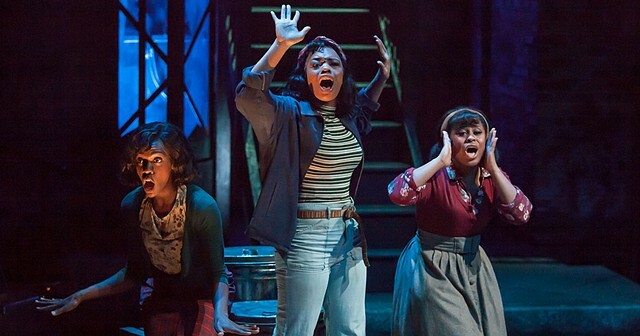 The controversy arose when the director of the production cast three white actresses as understudies for the roles of Crystal, Ronette and Chiffon, known as the “urchins”. While we can haggle over the “the best audition should get the role” argument, character descriptions in licensing material is approved language by the author, and it should always be respected. In most professional productions I’ve seen, including the Broadway revival, those roles have always been played by black actresses. However, in most amateur and educational productions I’ve seen(and been in), those roles ave been played by white actresses as well. However, when news spread of the casting, posts on social media began to show how upset students in the BGSU theatre department were. So much in fact, that the department held a Town Hall meeting to discuss the issues. At the meeting, students brought three policy requests for the theatre department to adopt when it comes to equal representation and color conscious casting going forward. The first was for the department to create a statement on the website that essentially states they will not put up whitewashed shows by Nov. 2. The second demand was to put up workshops for students and faculty on the experiences of performers of color, casting and learning about these issues in theater and film. These workshops would be mandatory. The third is the creation of a required course that deals with the same issues as the workshops, but the class may take years to implement. The university apparently agreed to every request however it should be noted that as of today, I have not seen a statement on their website regarding non-whitewashed productions. As a performer of color and someone who has written a plethora of articles on the subject, I’m definitely happy to see that a university theatre department is taking a stand and making it clear that the casting practices of the past are over and are committed to turning a new leaf when it comes to color conscious casting. And I do hope that other colleges will adopt similar policies or at least commit to becoming more aware when casting roles of color. If anything, it can lead to many positive changes within the theatre department including attracting a more diverse student body to campus.